Which Type Of Flooring Is Right For My Home? Being a mum can be extremely hectic. 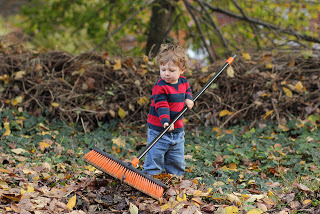 There’s so much running around to do to make sure your children are cared for, and you’re on top of all the housework. Because of this, it is ever so easy to forget about our beauty regimes. But it doesn’t have to be that way. Want to stay looking perfect even if you’re short on time? 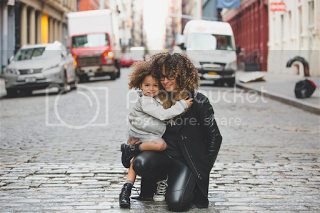 Here are some amazing beauty tips for busy mums! Dry shampoo is a great way to save time. There’s no need to jump in the shower just to wash your hair – all you need to do is spritz it with some dry shampoo! Spray it on and then rub it in and brush out for perfect locks. As soon as you apply it you’ll be ready to go; there’s no need to hang around waiting for it to dry! You can find dry shampoo in all drug and beauty stores. You may even be able to find a dry version of your regular shampoo! Olive oil is a wonder ingredient. It tastes great in recipes and is full of healthy fats. But did you know it also works miracles on your skin and hair? You can swap your everyday moisturiser for olive oil, and you may even notice improved results! Simply rub in a small amount of the oil onto your face after a shower to get all the benefits of its antioxidants and healthy fats. Extra virgin olive oil is best for the skin as it is very pure. You can also use it on your hair as a deep conditioner. Simply massage into the hair and scalp, and wash off. Getting a good night’s sleep is not only beneficial for your mood, but also for your beauty regime! After all, there’s a reason why they call it beauty sleep. Sleeping well can help to reduce bags under our eyes and can also reduce redness and blotches on our skin. If you get your seven hours of sleep a night, you will also notice that your cellulite slowly reduces. If you’re interested in more ways to fight cellulite, click here for some helpful tips. Drinking water is another key factor in looking good. And you don’t need any spare time to do this! If you drink plenty of water, you will notice your skin glowing and it will feel fabulously smooth. It is also a great way to detox, as water naturally flushes out any toxins and chemicals from your body. Make sure you are drinking just water, though, as sugary and caffeinated drinks can have a negative effect. Drinking and smoking are taking up too much time, and can be detrimental to your beauty. If you cut down on these bad habits, you’re skin will look refreshed and much younger! You’ll also have more energy for spending time with your family. So now you don’t have any excuse for forgetting your beauty routine! Running a home is no easy task, especially when all the nitty gritty stuff falls to you alone. As a single mom, I’m in charge of everything, so it’s essential that things run smooth in order for an easier life. 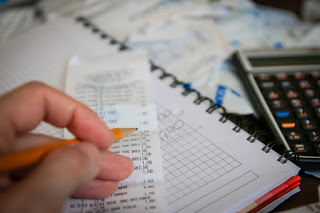 It can be stressful when things go wrong, and sometimes not keeping on top of things can add more strain to your finances. So I thought I would share with a guide to keeping your home running smoothly. If we can take care of those things, then it leaves more time to enjoy with my son and family. Those hot months can be a killer, so we have to take precautions to make sure we remain as cool as possible in our homes. So this is making sure our air conditioning units are often serviced, to check everything is in good working order. While it can be costly to have that system running all the time there are things we can do that will keep the house cool. We can make sure that our homes get aired by opening up the windows and letting the air flow through. We can also keep curtains and blinds closed. If you don’t have these up in some of your rooms, I suggest you get that sorted. It will be a real benefit in the warmer months. Just as much as it is important to keep cool in summer, we need our heating to be working during the winter. So again it’s worth checking these things and having your services done. The last thing you want is burst pipes or plumbing systems going wrong. It always happens on the coldest day of the year. But, if that happens then you can get in touch with a local plumber. You can find out from Assured Comfort. 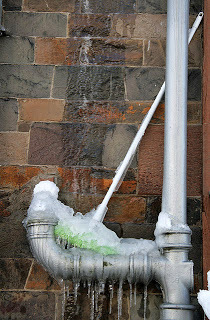 Although I wouldn't wait for things to go wrong and make sure you get those pipes checked after winter. They can easily have problems during the warmer months as well as when they freeze up. I don’t mean a diary for your appointments and after-school activities. Although that is essential for keeping your life on track. This is for making a note of when things have been checked in your home so you will know when they are due. It will also be a great idea to keep phone numbers and website addresses to have to hand should you need someone in an emergency. These tasks are the ones that can add up. Leave them for too long and it becomes a much bigger chore than you expected. So keep on tips of these things. These means sweeping the leaves from your driveways. Mowing the lawn in the Summer and keeping your garden neat and tidy. It might even mean keeping your home in check like painting walls to spruce them up. The secret to keeping your home running smoothly is to make sure you have things checked on a regular basis. This will avoid any unexpected dramas and accidents. 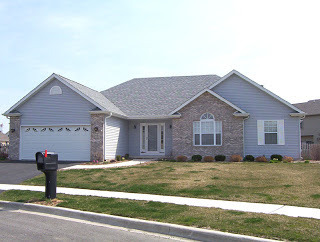 Your home needs maintenance, and so with that comes a cost. But to keep those costs down it’s worth have them checked over once in awhile. This can put your mind at ease and also help you expect when certain things might need replacing. For example, your furnace may be on it’s way out. If you didn’t have someone come and give it a good looking over you may never have been aware of that. Now you are in the sensible position of saving to replace it. Whereas if it suddenly broke on an unexpected tuesday afternoon you may have been worse off financially. Having checks allows you to plan for these things better than you would if you didn’t. They may be able to advise that certain things will need replacing in a year's time, or give you ideas on things. It is all about thinking smart. It’s not just the exterior we have to think about, sometimes the inside of our home needs some attention as well. So try and keep yourself and your home as organized as possible. Junk mail can all pile up on the kitchen sides or in the office. School report cards and coupons, they all get littered around the house. So take some time each week to grab all the papers you have an get yourself organized. Recycle what needs recycling and file away everything else. You will be surprised by how tidy your home feels. It’s all worth trying to tidy up as you go rather than leaving it to become a big job later. If you don’t want to add any further stress to your life, then make sure you pay your bills on time. This will allow you to be much more organized and focus on other things in your life. Paying bills late can make your incur late fees which can add more strain to your finances. It’s always best to try and reduce the stress and pressure in your life as much as possible. This is easy by taking action on things when you can rather than cause problems for yourself. Finally, the last tip would be tackle things as they arise. So if something gets damaged in your home get it fixed as soon as possible. If something needs replacing begin budgeting for it, so you have a plan. Prolonging things that need repair or replacing can just make things worse for you in the long run. It is all about being organized. If you think something needs doing then just do it. The mentality will work for everyday tasks as well as some of the bigger and unforeseen things. You will feel much more contented, and things will run a lot more smoothly. I hope this guide will help you. It is all about thinking smart. If you take care of your home, then it will take care of you. Month of May is half way finish. Before we know it parent like me will start shoppinh for school supplies. But before that, we shall finish and enjoy the remaining weeks of school break. Talking about school break, I am pretty sure that some pf your children took up summer class in music. And perhaps some of them knows what q88 is. Unlike me, I need to search for it and find it what is it and what is its uses. Haist! The downside when music doesn't love you much. Just woke up! I am suppose to prepare going to the city as soon as I get up from the bed. But because I found out that I have an offer to work on and it is due due today I opt to work for it before I go to the city. Actually, I am blogging in my bed. On the other hand, I am supppose to share photos of our outing yesterday on my other blog. For some reason there is this authentication login that pop when I tried to login. I already send a message to my host hopefully I will hear from her soon. We all know how expensive being a homeowner can be. From home improvements to groceries, there are multiple things that need organizing and paying for. This can sometimes put an enormous strain on those who have a limited budget to work with. One way of saving your money each month is by reducing your energy bills. Many homes aren’t as energy efficient as they could be, and this could mean you are paying more than you should be. Here are some fantastic tips which you can use to reduce your utility bills and save more each month. Your dishwashers is a highly useful appliance, especially if you have kids otr if you’re always on the go. But your dishwasher can use a lot of energy, and excessive use can increase your utility bills dramatically. Only use this appliance when it is full and not when it is half full. You can also save energy by letting the contents air dry, rather than using your dishwasher’s dry feature. 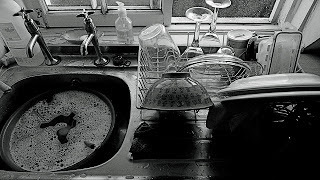 Washing your glasses and dishes by hand is another technique you can try. If they are old enough, ask your kids to help you wash the dishes after each meal to share some of the work. This will stop you relying on your dishwasher so much and encourage a decrease in costly energy usage. Studies have found that homeowners will spend half of their annual energy bills on heating their homes. Upgrading your current furnace to a newer model can help make your home more energy efficient. This, in turn, can reduce your heating bills each month and give you significant savings by the end of the year. Start looking for new furnaces online and ensure they have the Energy Star logo before you buy. It might be a large up-front cost, but the financial benefits make it worthwhile. If you don’t have the money you need for a furnace upgrade, you should consider a furnace rental instead. This can remove the upfront costs and works on a pay monthly basis. You might also want to consider replacing other appliances in your home to enhance your savings even more. When you wash your family’s clothing in your washing machine, a large percentage is on heating the water. 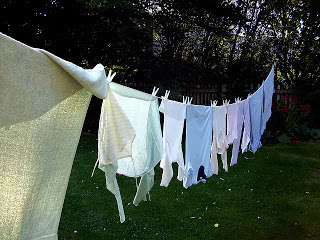 Cold washing your clothes is far better for the environment and can cut your energy bills. It does this by using far less energy than hot water and still gets your clothes fantastically clean. Cold water has found to be kinder to clothes by maintaining their shape and color. This can save you money also by keeping your clothing in better condition for longer. Look at your washing machine and discover how to use the cold wash function. In addition to this, source some cold water detergents from your local supermarket. These are just a few ways in which you can reduce your utility bills. But there are plenty more. Do some research online to find other ways of making your home more energy efficient bto reduce your bills further. 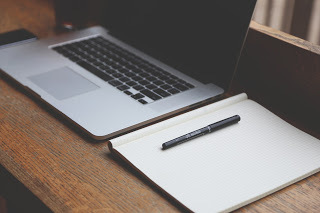 Guest post: Ideas and informations are not mine. What To Do If The Electricity Goes Off In The Night! There’s nothing worse than being in your home in the evening and the electric stops working. You can’t see where you are as the lights go off, and you are not sure why it’s not working. Here’s what you should do if it does happen when you are home alone at night. It’s easy to start panicking if the electric does go off and you are sitting in the pitch black. But the best thing you can do is to stay calm. It might be something simple, so that it might be fixed very quickly. Try and keep calm and try and resolve the problem as soon as possible. You should look for alternate lighting in your home such as candles or a torch to provide you with some light. Unless you have no battery on your phone, you should be able to turn it off and have some light. They even have a torch function on there which you can use to guide yourself through the property. 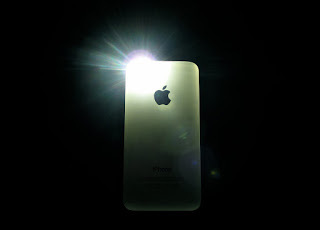 Read how you can turn on your flashlight here. You can also use your phone to contact a friend or family member and tell them what’s happened. They may be able to guide you through fixing it, or even offer to come out and help you. Although your WIFI might be down, if you have 3G, you can look online to find advice on what to do. Could it be power cut? 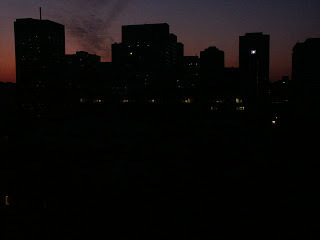 One of the first things you should do when you have a power cut is to look around you and see if it’s just your home. As this article explains, you should safely move to the window and take a look at your neighborhood. You should see if anyone else's lights are all off. If they are, it could be a power cut in the whole neighborhood, not just in your home. If you are on a friendly basis with your neighbor, you may want to ring them up and ask them if they are having issues. One of the first things you should do is safely go and check the electric box in your home. You may have experienced a circuit overload, and you will see that the switches may have automatically switched to ‘off.’ It tends to happen if too many things are being used all at once. In this case, you can safely turn them back on so that the electric will switch back on. If they are still ‘on’, then you may have more of a severe problem that needs sorting. If you are unable to fix it yourself, it’s time to call an electrician. They will ensure they fix the electricity safely so that you don’t get into any more danger. 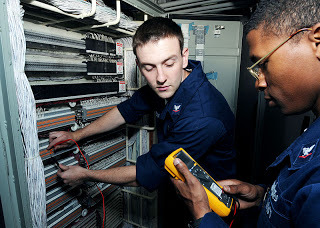 Research to find a 24/7 emergency electrician who will come out in the middle of the night. If you can’t work out what’s wrong with the electric, you should think back to when you last paid your bill. Could you have possibly missed a couple of payments and that’s why it’s turned off? Ring your supplier and tell them what’s happened, and pay any outstanding bills that might be causing the issue. Hopefully, you can get it resolved without spending too much! It's the time of the year once again. If my memory serves me right this will be my third time attending my highschool alumni homecoming. I had fun attending the previous two years, and no doubt I will still have a blast this time. Too bad my two good friends back in highschool will not make it. One of my friend is leaving in Manila and she just started her new work, while the other friend is busy preparing for this fiesta celebration. So I'll to enjoy the homecoming with them. Apart from the alumni homecoming, we will also have our batch Sta Cruzan. So it will be a day of chitchatting with highschool classmates and batchmates. The flooring found in your home can truly define it. There are some kinds of flooring we associate with specific rooms, and as such, your choices really do matter. If the time has come for you to choose some new floors for your home, your options are many! But which are correct? If you’re currently in the process of making that decision - it can be tough. We’ve all been there. We’ve all settled on an option, then read a negative review online and decided to back out. 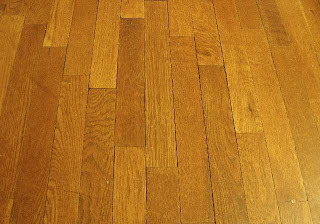 In order to help you out, the following post will present a quick rundown of a couple of common flooring types. We’ll discuss which rooms they’re good for, and some of their pros and cons. Laminate flooring is becoming more and more popular every single year, and seems to be spreading to more and more rooms in the house. What started off as a living room staple has now branched out to the kitchen, the dining room and even certain bedrooms. The main problem with laminate flooring is how easily it shows dirt and grime. Some would actually consider this a benefit, though. If the dirt is easier to see, it’s easier to clean! But if you have a busy week and don’t have time to clean, the site of all that muck can make your week worse. If you opt for laminate, prepare to be cleaning it lots, and put it in a room that sees minimal traffic. Sisal is a form of natural fiber flooring, which makes it suitable around the house. What’s more, cleaning and maintaining natural flooring is rather simple, saving you a lot of hassle. It’s tough too, which means it’s suitable in rooms that have a lot of footfall, or none at all. Whether it’s a bedroom or the living room, you can’t go wrong here. If you wanted to give your garage a bit more personality, it’s a good option too. It’s important to get a tough, long-lasting carpet that will endure. I’d recommend sisal in bedrooms - it’s comfortable, and can resist all that footfall. Ceramic tiles are extremely resistant to scratches, making them the toughest option on this list. It’s also easy to clean thanks to its smooth surface, and most stains will come off with a quick wipe. That being said, tiles can get real cold, real fast. It’s not a nice feeling, especially in the dead of winter. This means your heating bill could see a slight rise after installation. They’re also rather prone to echoes, which means if you walk on them at night they could wake the family up. Though, their ability to resist scratches water makes them perfect in kitchens or bathrooms. And that just about does it! Hopefully, you now feel more confident in your purchase. Buying flooring isn’t just like buying an appliance - it can be rather expensive. As such, it’s important to get it right, and if you followed these tips, you probably have done. Technology has affected every aspect of our lives. Very few areas of life have been as affected by technology as the medical field. Technology has led to life-saving procedures as well as diagnostic tools that allow doctors to identify potential life-threatening problems before they become serious. One of these tools is the open magnetic resonance imaging machine, more commonly known as an MRI machine. This imaging tool can detect problems in your body’s soft tissues. In some instances, early detection from an MRI machine can mean the difference between life and death. There is no tool on the planet that allows doctors to examine the brain for the existence of a brain tumor like an MRI machine. This is because MRI machines allow the doctors to see a multi-layered picture of the human brain. It allows them to find the tumor, identify its size, pinpoint its location, and then devise the best treatment for the tumor. Tumors can grow in other parts of your body, especially in your major organs. If tumors, be them large or small, are not identified, they can eventually become cancerous. This will lead to even further health issues. An MRI machine is able to locate and diagnose tumors before they become cancerous. If they are cancerous, early detection may allow them to be removed before the cancer gets worse. There are a lot of techniques that doctors have at their disposal for discovering internal bleeding. However, an MRI machine is unique in that it gives doctors the ability to identify the exact area that is damaged. This will then allow doctors to repair the damage and to stop the bleeding. Most spinal injuries are not life-threatening. However, the spine is used every single day in all activities. It is flexible because in addition to having bones, it is connected by tendons and muscles. An MRI can detect a herniated disc and other soft-tissue issues in the spine. There are a whole host of other defects that an MRI machine can identify early. For this reason, patients who are in pain or dealing with symptoms that they cannot identify will often visit imaging centers in NJ to have an MRI or another imaging procedure done. Imaging technology is constantly improving. It will continue to help with earlier diagnosis of life-threatening illnesses and better cures for some of the infirmities that currently plague mankind.